What is this new CPF Life Escalating Plan and CPF Lifetime Retirement Investment Scheme (LRIS)? 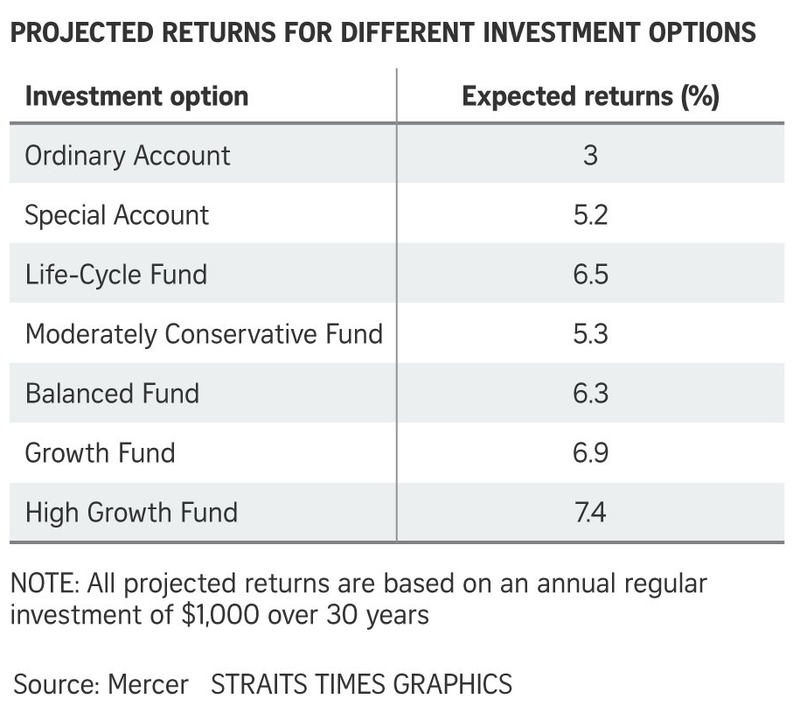 If you are a Singaporean and want to take charge of your retirement savings, then read on. Back when Mr Roy Nerng stirred up some noise, asking the government to return our CPF money, it has stirred up a national conversation about the adequacy and how functional our CPF is when it relates to our retirement needs. A CPF Advisory Committee was formed to advise on how to improve the CPF in this regards. In previous CPF Advisory Committee proposals, they made proposals to simplify the plans to CPF Standard and CPF Basic, however some details were not released. 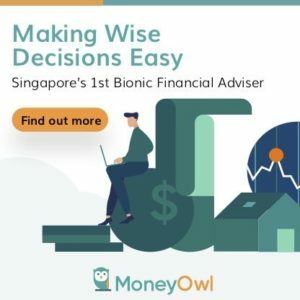 In this article, I will take a look at how different are the cash flow of the 3 different CPF Life Plan, if I were to retire next year how would my retirement wealth de-accumulation plan be. I will also share my thoughts why LRIS looks to be good, but it will not take off. Recall that in previous updates, we know that when we want to start withdrawing our CPF Life, be it 65 at its earliest, or when you delay to get a bigger annual cash flow, we have 2 options. The 2 options are CPF Standard and Basic. If you choose Basic, your payout is smaller than Standard, but you have a bigger bequest. How much payout you received for Standard or Basic depends on the minimum sum you hit at age 55 onwards, when you transfer the sum from your CPF OA and CPF SA to the CPF Retirement Account (RA). The minimum sum goes up over the years, and currently the Basic Retirement Sum is at $80,500. This is the sum if you chose to pledge your home. If you do not pledge, your minimum sum is $161,000 currently. You can further boost your payout, if you put in one more chunk under Enhanced up to $241,000 currently. You can further boost your payout, if you delay your withdrawal from age 65 to any year between 66 to 70 years old. The committee introduces CPF Escalating which is a plan to boost your monthly payout annually by 2%. This is because many folks are complaining the current CPF Life Annuity do not keep up with inflation. So this escalating plan pay out goes up by 2% yearly. However, there is always a give and take. For the Escalating plan the downside is that the initial payout is smaller than Basic and Standard. Let us take it with the example that Kyith is 55 years old and CPF transfers $80,500 from his CPF OA and CPF SA to his CPF Retirement Account. This sum is $80,500 because Kyith decides to pledge his 4 room flat to make up the 50% current minimum sum of $161,000. Currently CPF RA will grow at 5% per year. This will reach perhaps $131,126 when Kyith is 65 years old. However, do note that this sum is a projection, and CPF currently do not reveal how much the CPF RA for Kyith’s portion grows to. CPF Escalating Monthly or Annual payout is less than Standard and Basic. However, if Kyith lives long enough to 78 and 72 years old respectively, CPF Escalating Monthly and Annual payout will be higher. If we are computing based on 10 year payout, overtime the Escalating plan pays out more on absolute amount. If we discount inflation over the time frame, the value accumulated in the last decade is worth less than the previous decade and so on. The present value of the stream of payout of the Escalating plan is higher than that of Standard and Basic today, if Kyith is 65 years old. It will be difficult to gauge whether Singaporeans are getting a good return or a poor one by talking about cash flow. However, if we view the annual payout yield over the initial amount, we can get a very good idea. The above table shows the yield on initial investment of $131,126, which is the amount in RA of $80,500 accumulated at 5% from 55 years old to 65 years old. The Escalating plan shows some good return yield as we stay alive longer. Do note that, instead of comparing, appreciate that all the yield for the 3 plans are rather high and backed by the insurer, which in this case is CPF. You can compare against the list of high yield dividend stocks in Singapore currently, and you will realize the returns of this ‘investment’ is average. However, the difference is that, the investment risk of this CPF Life is transferred to CPF, while in the case of these dividend stocks, you bear the risk of poor dividend stock selection. Why pegged to 2% and not inflation? It would be better if the rate is pegged to positive inflation. This would mean that should we have a hyper inflation of 10% in one year, the annuity payout goes up by 10%. If there is -5% deflation, the annuity payout stays at current. The board deems that inflation fluctuates and it will be better to take an average and keep it as such. We do am aware that in Singapore the past 10 to 15 year inflation averages 2%. Hard to believe for some, but I did a computation not too long ago and there is some truth to that. Even First REIT (Dividend Yield 6.5%), which pegged their rental escalation of their Indonesian hospital at CPI capped at 2%, uses 2% based on the past 10 year inflation reading. Is the 2% Escalation Permanent? According to what was revealed, this 2% follows the long term inflation rate, which is subjected to change. So they will be reviewing this figure and changing accordingly. How does this affect my overall wealth de-accumulation plan? 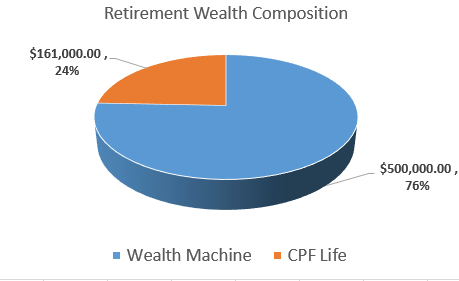 The first thing to recognize is that the CPF Life is only a part of my overall wealth plan. You have to accumulate out of CPF Life. 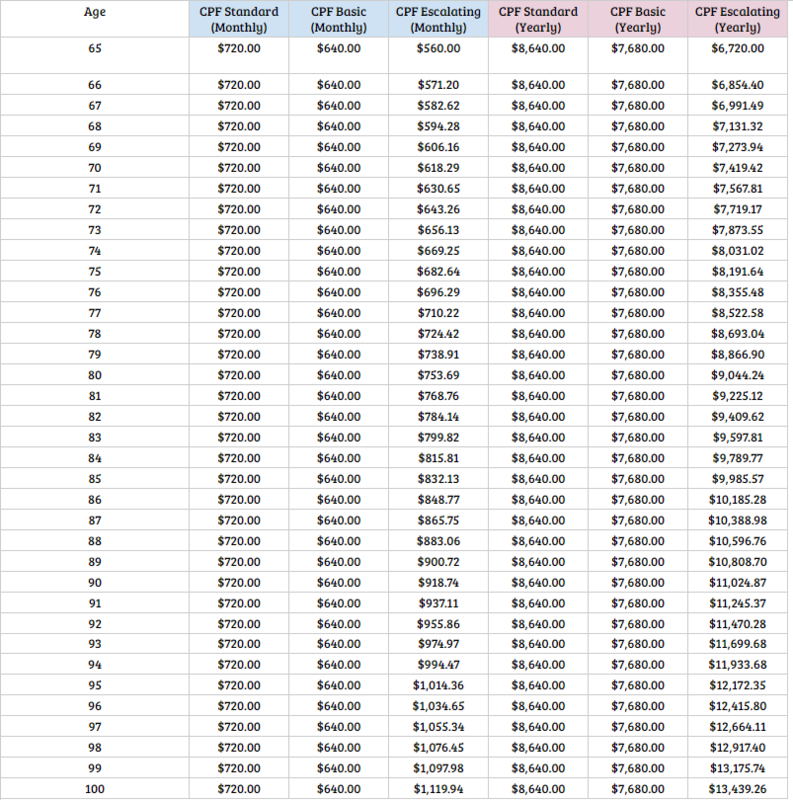 The CPF Life takes care of my Monthly or Annual Survival Expenses (here is how to derive your survival expenses). 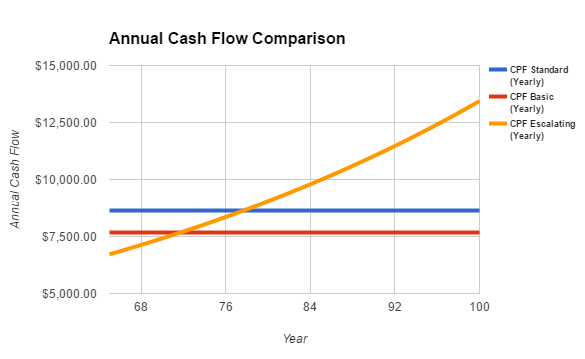 The Wealth Machine’s Annual and Monthly cash flow takes care of the good to have things in retirement. However, the predictability and transfer of investment risk of the CPF Life ensures that my survival expenses are met even in bad times. What was kept in suspense is how do we boost the returns of our CPF to increase the sum built up? Even with this announcement, there was much details NOT revealed. I suppose there are much evaluation still taking place. What is revealed is that there is this new Lifetime Retirement Investment Scheme (LRIS). This will be an alternative to our CPFIS, which we use to invest in CPF approved unit trusts, stocks, insurance endowments and gold. Under LRIS, there will not be an avalanche of unit trusts. Many Singaporean’s are not clear about passively managed funds. They are also not well versed in what makes the most impact to building wealth with funds. So they would not understand what is the impact of this plan and how this will be a better option. It is likely they will implement a portfolio of index funds. These are going to be low-cost passively managed. The illustration provided by Straits Times, gave a hint of what are the limited funds provided by the single administrator. I hope the returns are enticing to you. You need to keep costs low. Your returns is unpredictable but your cost of 1.5% to 2% for unit trusts is definitely loss to you. And the power of compounding occurs on the costs as well. You need to hold it for long. But not many can do it because we overestimate our abilities and make stupid behavioral mistakes. Think of these funds as a very long 20-30 year bond. You can earn that 5.3% to 7.4% annual compounded returns, but in the middle of this 20-30 year bond, the value of your holdings will be very volatile, going up and going negative. 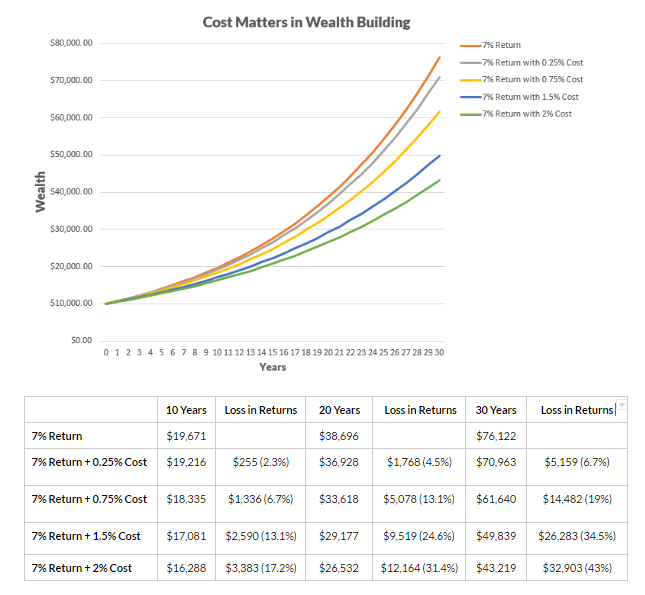 To illustrate #1, at a 7% compounded return, you would turn $10,000 into $76,122 in 30 years. But if your cost is 2%, you will lose $32,903 to costs and only get $43,219 at year 30. If you are able to keep your costs at 0.75% instead, you will lose only $14,482 and earned $61,640. The cost compound more drastically over time. To illustrate that we are really bad in making investment decisions, Dalbar did a study on what the average investor achieve in terms of their unit trust sales, redemption and exchanges in USA. 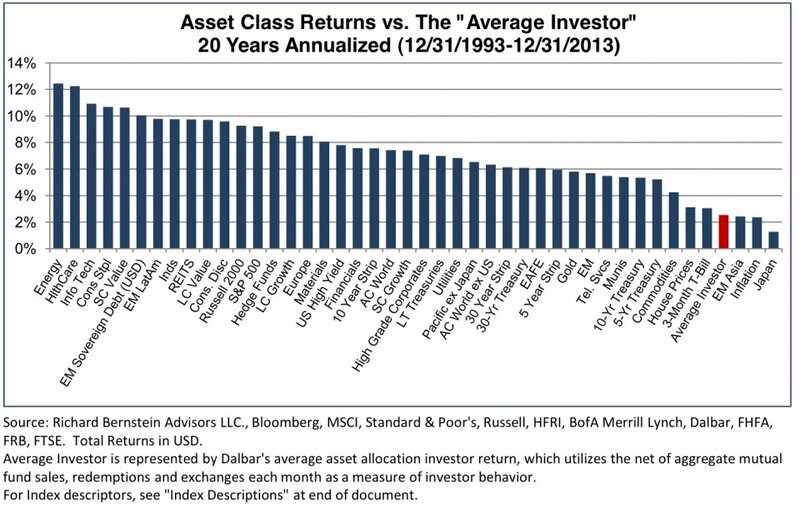 You will observe that during this 20 year period, almost every asset class did well, but one of the worse performer is us, the average investor. We are just so bad at managing money that we only take in a fraction of the returns. It would be better if we meddle less. My original concern was that this will stop me from making active contribution to the stocks that I currently held. Turns out that this will be a separate scheme targeting the people who fit the original criteria. While I like everything about it, the pick up of this will be slow to non-existent. This is because Singaporeans like capital protection, and when they learn that they are likely to lose money from this, they would be turned off. That projected higher compounding return will pale against the great capital guarantee return of 4% on the CPF SA. Despite what they say about wanting higher returns, they want higher returns but also capital guarantee. In other words, they want a free lunch. The CPF is already complicated enough and introducing one more side scheme, is not going to help. People do not believe that they are poor investors, and they believe they can generate better returns through stocks then the puny pathetic returns of funds. Perhaps we need a 10 year gestation period, where these few selected funds show good compounding returns to convinced people of their benefits. We also need the CPF to not provide that guarantee 2.5% and 4% in CPF OA and SA, to force people to look for alternative. Hey Kyith, great post as usual! I am also interested in the escalating payout, so I did a quick calculation with Excel. If we look at the cumulated payout, the break even point is at age 86-87. I am assuming a flat increment of 2% per year. So, for escalating to be worth it, you need to live to at least 87. I think median life span is around 85 years, so chances are it is not worth it for the average person. But I think it is a good hedge against longevity, especially if you have other sources of income. I would share my Excel, but I can’t seem to attach anything. The breakeven is closer to 90. The example given by the CPF Advisory Panel shows that Escalating is 22.2% lower than Standard at the beginning, not 20%. Factor that into your calculations, and it’ll show the breakeven at around 90.
hi Kehyi, I would have thought my pace of escalation is quite similar to what was tabulated by the press papers. But i think our focus here is that, there aren’t much difference. the more important focus is whether it can suffice to provide for our survival expenses. good read as usual, much educational to me since i have very little idea of all the new CPF schemes. Hi Bruce, thanks, i used to be rather passive on this subject. Until i decide to take more responsibility on it. seriously, I will prefer the inversely payout structure., where u can get the most out of it while u still can walk and smell the rose. What is the point of giving more money in my twilight years where I don’t eat as much and wonder still able to walk 10m without a walking stick. Children, they can fence for themselves Just like u and me and our parents . Hi Calvin, note that they are not giving you more money in the twilight years. the value is the same as at the start due to inflation. they are taking that what you consume is the same. however, you are right to a certain extend that, based on research, it seems our expenses fall in retirement rather than what we think, which is increasing. from the calcs, the breakeven for the plans are between 10-15years. the other way to look at it: if you think you will live long, get the escalating. then again, who know how long one can live right? you are the best person to game the system, because you might know the genetics of your clan better. if you think you are not going to live long a larger bequest might be the way to go.